How do I get more Catch Up® training? 18th June 2013 - How do I get more Catch Up® training? We hope all of you who've had Catch Up® training are successfully delivering the interventions in your school and seeing the difference you can make to struggling learners. But what do you do if you need additional training for new members of staff? New teachers, classroom assistants or support staff can join one of our forthcoming training courses at any time. Our forthcoming UK training page tells you where and when we are training and you can email us to book staff onto any of these pre-arranged sessions. If we don’t have any training near you, let us know your requirements and we will try to put you with other schools in your area to run training, or will be able to let you know as soon as we have something coming up in your area. 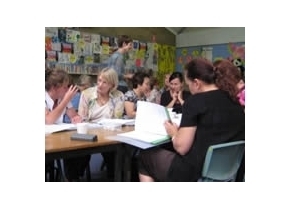 Teachers in Australia can visit our forthcoming Australia training page to book training, or email us to arrange training near you.